Mummy's Space: We're Going on a Bear Hunt - Join the Twitter Fun! We're Going on a Bear Hunt - Join the Twitter Fun! 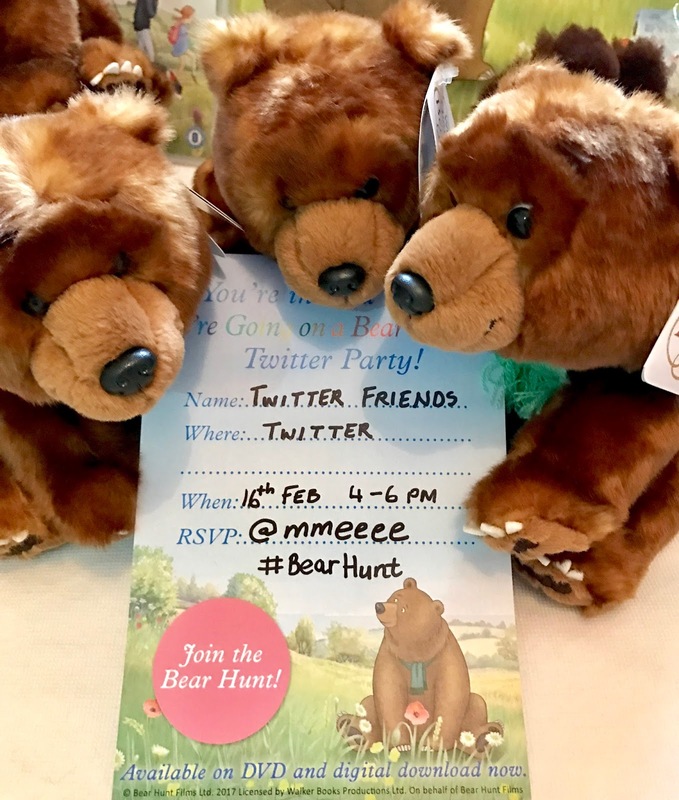 We love the book We're Going on a Bear Hunt so I just knew the kids would love the chance to host a Going on a Bear Hunt Twitter Party which is being held next Thursday 16th February from 4-6pm. 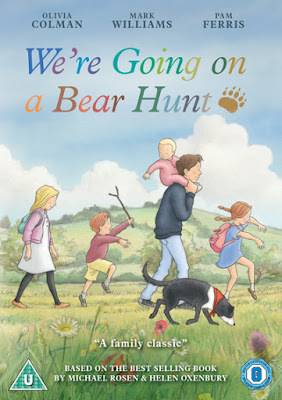 The party is to celebrate the release of the Going on a Bear Hunt DVD which we will be watching on the day along with doing some fun Bear Hunt themed activities. In advance of the party we have been sent a very special Bear Hunt party pack which contains the We're Going on a Bear Hunt DVD, book, lots of fun activities to play from biscuit decorating to everything we need for a Treasure Hunt not to mention the most adorable Bear teddies ever, it is definitely going to be a fun Twitter party. Here is a sneak preview of the pack which we received so you can have a look at just how good the party promises to be. We couldn't wait for the party to watch the We're Going on a Bear Hunt DVD so have had our first viewing already. This beautifully hand drawn animation is based on the best selling book by Michael Rosen and Helen Oxen and while the illustration is in the style of the book, this adaption does deviate from the story and definitely has a hidden meaning. It is a wonderful family movie to sit and watch together, we all loved it and the children were definitely captivated by it. As the film follows a family going through a difficult time with highs and lows in parts, children may get a little sad like my three did. Not meaning to spoil the story but we had tears when the bear was left alone at the end, but telling them that Rosie would visit him again as she knows where he lives helped. Ben, in particular was sad because he was worried that the children would miss their Grandad so I explained that although the family would miss him, they would be ok as they have each other and wonderful memories to help them through it. As Grandma says "There's nothing wrong with being sad, it's just a way of remembering the happy times." The kids have asked to watch the DVD several times since which speaks for itself, it is in my opinion a must have movie for all families. The We're Going on a Bear Hunt DVD is available now from Amazon and also on digital download. 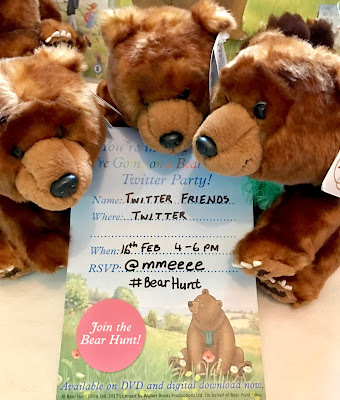 Please be sure to join us on Twitter on Thursday 16th February from 4-6pm to follow the fun look out for me @mmeeee, @ukmumstv and use the hashtag #BearHunt. Throughout the two hour party will be lots of Going on a Bear Hunt themed fun and prizes to be won, see you then! 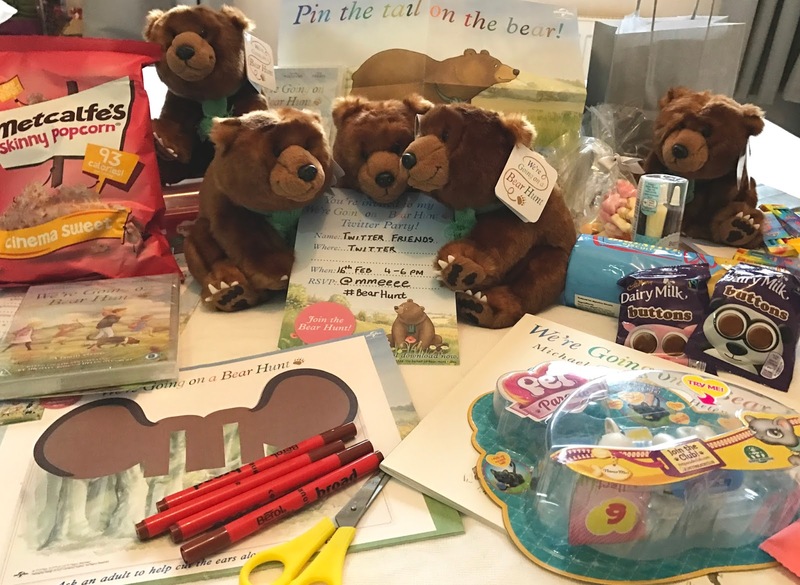 *Disclaimer: We were sent a Going on a Bear Hunt party pack and will be taking part in a Twitter party. All views and opinions are my own and unbiased.